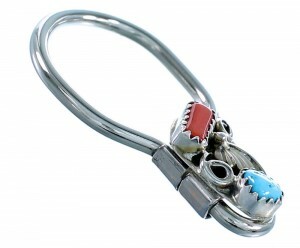 This is a wonderful piece of Navajo artistry! 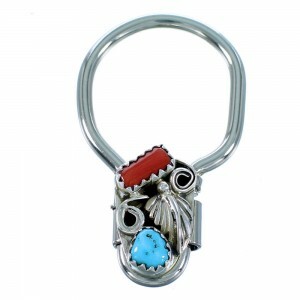 This piece of Native American jewelry is Navajo, hand crafted by artist Sally Arviso out of genuine sterling silver, along with a real Turquoise stone and Coral. A total of TWO stones are gently placed in hand cut bezel settings, while hand crafted silver work creates a lovely leaf design for an incredible look. 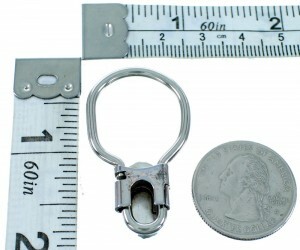 For extra strength and durability certain parts of the key ring are made out of nickel.